Jenkins Group proudly announces the 6th Annual Illumination Book Awards, honoring today’s best Christian books. This year’s winners are made up of authors and some of the most respected names in publishing. Illumination Award winners offer guidance, insight, and support for those seeking to become closer to God. Our awards shine a light on the books that enrich and inspire today’s Christians in all aspects of their faith. 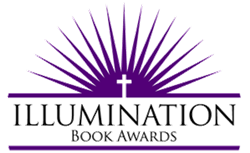 Jenkins Group proudly announces the 6th Annual Illumination Book Awards, honoring today’s best Christian books. This year’s winners are made up of authors and some of the most respected names in publishing. Illumination Award winners offer guidance, insight, and support for those seeking to become closer to Him. As many Christians have entered the season of Lent, their messages are even more relevant during this time. Many Christians during Lent, also attempt to live a healthier life. In God’s Plan for Wellness, Kathleen LeSage writes, “There is something about being in nature that heals us. Without the hum of electronics and the blue screens of our computer and phones, we can step outside and rejuvenate. Just like David, God can lead us beside the still waters to restore our soul.” LeSage goes on to explain how the Bible clearly demonstrates a plan to live a healthier life using examples from Scripture. “Even the most mundane events can reveal the presence of grace and the call to respond. All that is required is the patience to look deeper,” Barbara Lee writes in God Isn’t Finished with Me Yet. In it she offers a path for more senior people to still be of service to God, even if they are not sure about their place in the world any longer. In this time of reflection, her book serves as a reminder that it is never a bad time to reevaluate how we exercise our faith and how it can guide us all.